Vikings Jazz Mall: Makati City Discount! As Vikings Luxury Buffet Restaurant opened its 6th branch in Jazz Mall, they are delighted to offer Makati City resident and employees with a special discount! 1) Employees or residents in the Makati City will receive a 20% discount, cash or card, upon dining at Vikings Jazz Mall. 2) For employees in the Makati City, he/she must present a corporate ID with their address on it. In case the office address is not on the I.D., he/she may supplement their corporate ID with a corporate calling card or a government issued I.D. 3) For residents in the Makati City, he/she must present a valid and original government issued I.D. 4) This discount applies on a per pax basis. 5) This discount can't be used in conjunction with in house promotions or discounts. 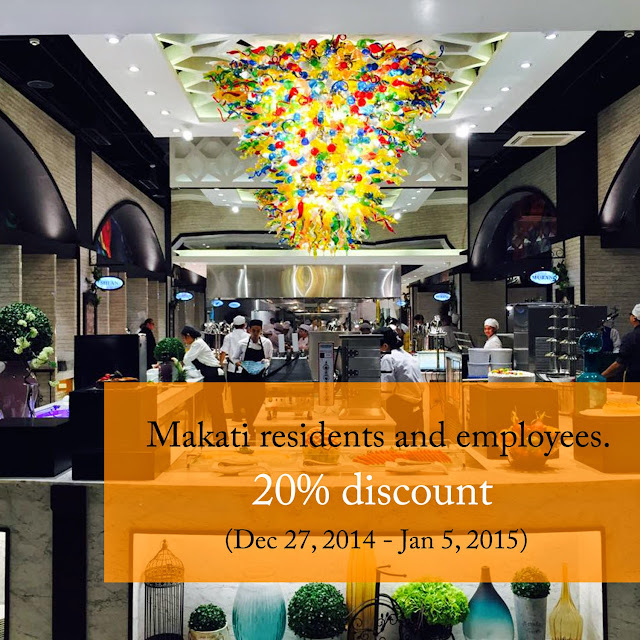 6) This discount is valid from December 27, 2014 - January 5, 2015. 7) This discount is available only in Vikings Jazz Mall Makati.